With its wealth of artistic heritage, long and beautiful coastline, unique identity and hospitable people, cycling in Puglia should definitely be on your wish list. Puglia is bursting with flavour from wonderful food to a fascinating history. From Romans to Normans, Greeks to Byzantines, everywhere you travel down the Salento Coast there is evidence of these ancient civilizations. This rich history is also in evidence while taking a cycle through Sicily. 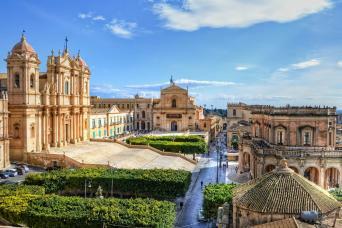 Long known as 'the crossroads of the Mediterranean, Sicily is a cultural melting pot, with a strong cultural identity. This is a land of volcanoes, rich and unique cuisine and a massive 7 UNESCO world heritage sites. Exploring the South of the Island by bike opens up the richness of the culture and immerses you in the Sicilian way of life. Ride across the heel of Italy, cycling from the trulli houses of Alberobello to the Adriatic waters of Salento, relaxing each night in historic town houses and coastal hotels. 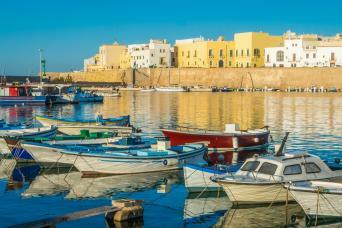 Cycle Puglia, the heel of Italy, from the Adriatic waters of Monopoli to the UNESCO protected town of Alberobello. 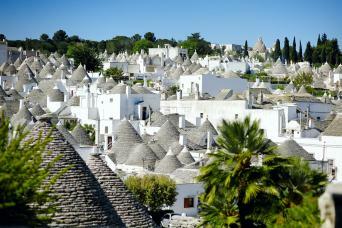 Spend each night in stylish comfort, including 2 nights in a lovingly restored trulli house, unique to Puglia. 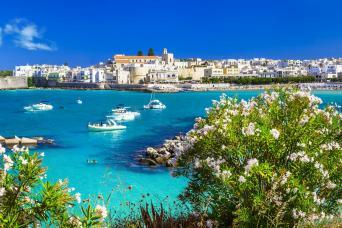 Discover Puglia, the heel of Italy, on this relaxed cycling tour of the Salento coastline. Discover the UNESCO listed Baroque towns and charming fishing villages of south east Sicily on this cycling tour of the ‘Val di Noto’. 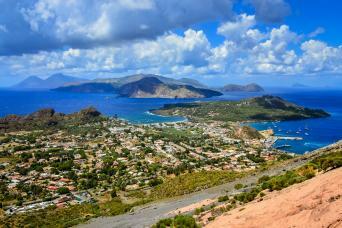 Cycle, sail, and hike Sicily’s volcanic Aeolian Islands on this bike and boat tour. By day enjoy geological wonders of these lush volcanic islands and in the evening dine on delicious authentic Sicilian cuisine and relax aboard the ship.